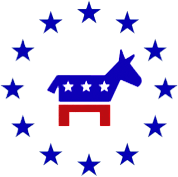 The Brookfield Democratic Organization is primarily a political organization composed of civic-minded citizens formed out of concern of the state’s current budget impasse and fiscal troubles. The Organization seeks to (1) inform Illinoisans on the structure and role of state government and local government, (2) connect members of the community with political and civic engagement opportunities and help satisfy government service inquiries and (3) support, partner, and collaborate with regional Democratic organizations, progressive candidates and current elected officials. Our primary goal is to help elect local Democratic candidates to office. To achieve that goal, we partner with local organizations and elected officials to create an outreach effort to mobilize civic-minded individuals who would like to get involved. The scope of voluntary political work we perform is petitioning for candidates, distributing campaign literature, and organizing events and community civic initiatives, such as voter registration drives. In addition to being a political organization, we are also a service organization, guiding citizens through the bureaucratic process to obtain government local services and connecting individuals to political opportunities to help champion civic engagement. As a referral hub, we pride ourselves on ascertaining the individual needs of people, communicating those needs through proper channels to the proper officials and delivering information as requested. Our website delivers a one-stop source of information on Illinois local and state government as well as community events so that citizens are informed of what is going on within their community and government. Moreover, if you would like to inquire about political and civic engagement opportunities, please do not hesitate to contact us.